This study was not able to show benefits in terms of mortality or bleeding when using radial vs. femoral approach in patients undergoing ST elevation myocardial Infarction. This small trial does not change things for “radialists” way past their learning curve who already feel confident with this technique. For them, there is no way back. Despite there is significant evidence in favor of this technique, there are many interventionists who still won’t switch to radial, mostly in the US. What is more, after these findings, many interventionists who still resist, might never switch to radial. 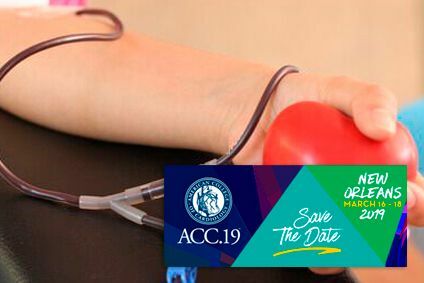 The SAFARI-STEMI findings, presented at the ACC 2019 Scientific Sessions, has reported that 30-day mortality for primary PCI via transfemoral approach is similar to same procedure via transradial approach. Read also: ACC 2019 | PARTNER 3: Low Risk TAVR vs. Surgery, Fewer Events per Year. Not only mortality and bleeding resulted similar, but also all the other secondary end points. Bleeding resulted similar regardless its definition (major TIMI, minor TIMI, BARC 3 to 5, need for transfusion, etc). These outcomes stand against other previously published trials, such as the RIVAL, the MATRIX, and the RIFLE-STEACS. These last two have shown lower mortality and bleeding rates and are still valid, seeing as the present study was deemed futile and therefore stopped prematurely. Read also: ACC 2019 | TAVR in Low-Risk Patients Is Noninferior. The message would be that many fellow interventionists believe transfemoral PCI, beyond merely outdated and obsolete, is instead borderline “mal praxis”. An expert operator with vast transfemoral experience can safely continue using this approach with no concern. The SAFARI-STEMI originally thought to include around 5000 patients, but after 2292 patients, gathered data failed to show differences, which resulted in its early termination. For those who still prefer the transfemoral approach in LATAM: it is worth mentioning that 68.2% of times a percutaneous closure device was used, not a minor detail when it comes to their cost in our countries, compared to other latitudes. Original title: The Safety and Efficacy of Femoral Access vs Radial Access in STEMI.